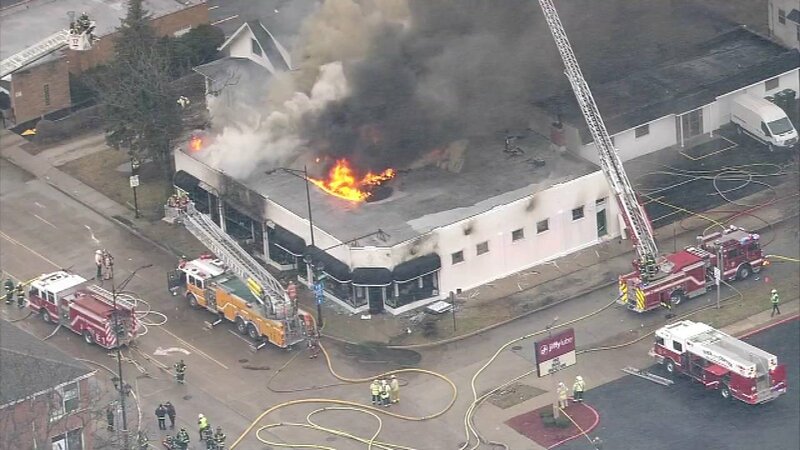 ELMHURST, Ill. (WLS) -- All of the customers of an Elmhurst bridal shop that went up in flames last week will receive the exact dresses they ordered, the shop owners said. The owners of VIP Occasions said it was made possible thanks to their designers and other bridal salons across the country. They will soon be setting up a temporary shop at a building nearby. Flames engulfed the building 300-block of North York Street last Thursday and raged for hours, officials said. The Elmhurst History Museum said the building that houses the shop was built in 1932 and was a grocery. Over time, they said, it became a special occasion dress shop once known as Clancy's and most recently known as VIP Occasions. VIP Occasions has been owned by two sisters since 1991.